Aircraft sensors are embedded across the airborne machinery for safe and effective operations as they provide feedback on a wide array of conditions, such as the amount of liquid coolant and lubricant oil, fuel transfer, environmental conditions and others. These sensors also assist in performing other functions such as airspeed measurement, path detection and collision avoidance, motion detection and others. The global aircraft sensor market is witnessing a notable growth. This primarily is due to rising number of aircrafts as well as replacement of existing sensors by smarter and more efficient sensors. Rising investments in aircraft sensor market by private equity groups and advancements in aircraft sensor technologies are among the primary factors contributing to the progress of the global aircraft sensors market. Temperature sensors hold a significant share in the market as they are an integral part of an aircraft and are incorporated in different areas of the aircraft such as hydraulic lines, air ducts, brakes, cabin, and interstage turbines. 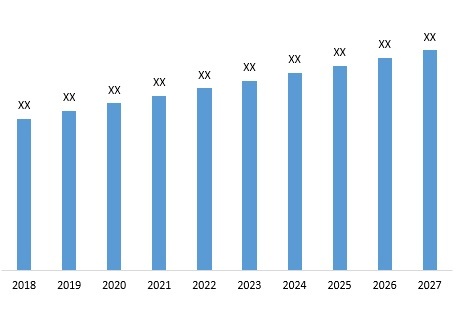 Global Aircraft Sensor Market was valued at 1.6 billion USD in 2018 and is anticipated to reach 2.44 billion USD by 2027. The study analyzes the market in terms of revenue, production and sales volume across all the major markets. The report provides both, qualitative and quantitative research of the aircraft sensor market, as well as provides worthy insights into the rational scenario and favored development methods adopted by the key contenders. The report also offers extensive research on the key players in this market and detailed insights on the competitiveness of these players. The key business strategies such as mergers and acquisitions (M&A), affiliations, collaborations, and contracts adopted by the major players are also recognized and analyzed in the report. For each company, the report recognizes their headquarter, competitors, product/service type, application and specification, pricing, and gross margin. The primary market participants in the aircraft sensor market include AMETEK.Inc., Collins Aerospace, Curtiss-Wright Corporation, Esterline Technologies Corporation, GENERAL ELECTRIC, Honeywell International Inc, Meggitt PLC., Raytheon Company., Safran (Zodiac Aerospace), TE Connectivity., and Thales Group amongst others.